Tommy Sledge P.I., AKA Sledgeman, AKA Sledger. 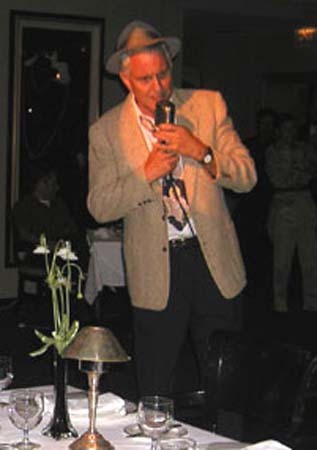 Pseudonym of Michael David Farrow, 1944- , q.v. 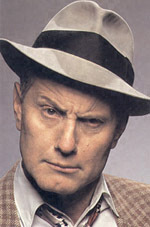 Occupation, under this name: actor, “standup detective.” - Currently enjoying retirement. A completely unique act - a hard-guy private eye out of the 1940's with all the lingo, the look and the low-life that goes with it. His observations deal with the stuff of life in the late 1990's, but as seen through the eyes (or peepers, blinkers, winkers, steely stare-scopes, as he would call them) of a hardboiled private eye from the days of black and white movies. Prowling the stage in his fedora and retro coat, Sledge takes hilarious shots at all the stumbling blocks of life - relationships, the law and order system, love and marriage. A 16+ year veteran of the stand-up stage, a published author, radio personality, and writer of the Family Channel animated TV show "Monster Farm", Tommy Sledge brings a well-rounded, mainstream approach to the always timeless world of laughter. 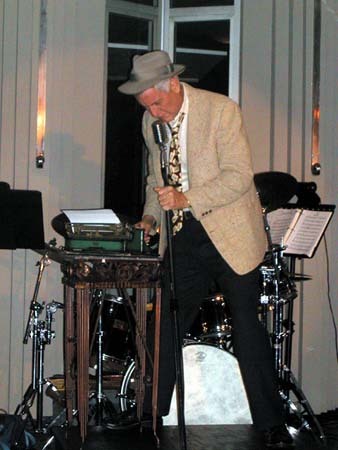 He is the author of the comedy novel "Bullets, Blondes and The Big Ones To Bite" and he has aired his short radio plays - "Tommy Sledge's Dime Novel" - on radio stations across the country. He worked with Marc Hershon in writing the screenplay for a post-apocalyptic sci-fi detective comedy called "Rim City". 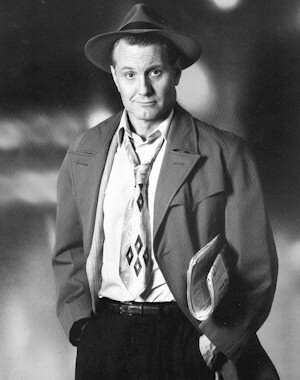 Tommy Sledge was the central character of the story. Very cool! He wrote the feature film script for Full Moon - Paramount called "Remote". From Comedy Pro, there is a Real Player clip of his stand up. They can negotiate between comedians, management, or agencies depending on their representation. From Funny Bone USA, there is a Real Player clip of his stand up. 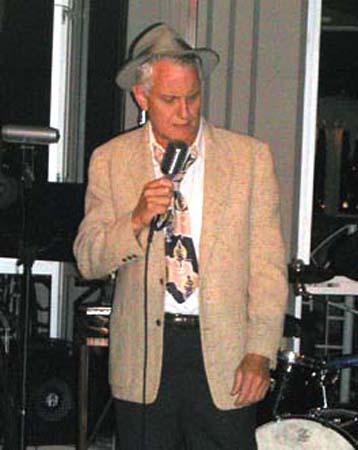 Over fifteen years as a stand-up comedian. Headlines ALL "Improvs", ALL "Catch A Rising Stars", and others. Dozens of corporate shows (Tandem Computer, Midwest Video, Dealers Association, Council of Hotel and Restaurant Trainers, Mystery Writers of America Edgar Awards, and more. Several colleges, including USC and UC Santa Barbara, and many more. 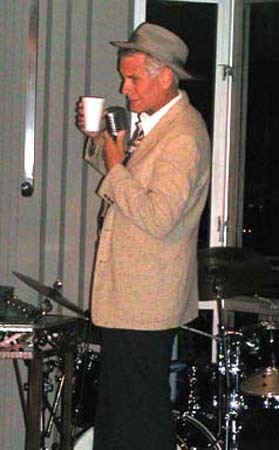 Images from an appearance at Atomic Magazine's 3rd anniversary, from MaxwellDeMille.com on August 5, 2002. Image1, Image2, Image3, Image4, Image5. ---"And I moved on...it's my job, it's what I do"
---"I'm just another passer-by from Palooka Ville!" ---"Cured ham? No thanks pal. Cured of what? What if it has a relapse on my plate?" ---"I just rolled into town, boy do my sides hurt." ---"...a launching pad for Anywhere, USA." ---"I asked her her name. 'Diane,' she said, in a voice so husky it could pull a dogsled." 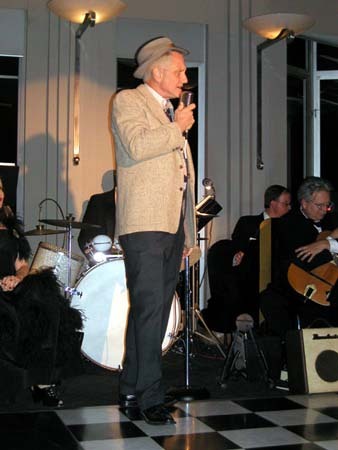 ---"I came here from the '40s. I walked." ---"You need to jump start your brain cells." ---"Live every day as your last... a lot of crying and begging for mercy"
---"I walked along...I came to a sign that said LIVE NUDES. I thought, 'Good choice.' I moved along." ---"I had a hunch - not an idea, not even a feeling, more like a rabbit punch to the base of the brain." ---"She didn't have the kind of dough to buy new earrings, so she used shower curtain rings. Somewhere, a bathroom was flooding." ---"I was in a convenience store. Somebody had blown a hole through every one of the Cheerios. It wasn't hard to figure who it was — a cereal killer." ---"You can't go to a public pool and splash around any more. Everyone is swimming laps now. Some guy jumped in behind me and said, 'How long you gonna be using this lane, dude?' And I said, 'Until my bladder's empty, punk.'" ---"I came to a movie theater. The marquee just read: "Dyslexia: Movie The."" ---"How did Captain Hook die? He wiped with the wrong hand." "Gross Jokes" (1985) with Budd Friedman at the Improv. 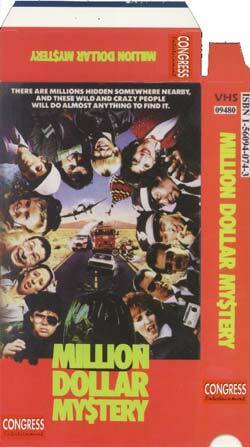 "Million Dollar Mystery" (1987) with Tom Bosley and Kevin Pollack. Note: If you like "Movie...in Your Face", you will probably like MXC on Spike TV too! "The Lobster Man From Mars" (1989) with Tony Curtis and Patrick Macnee. 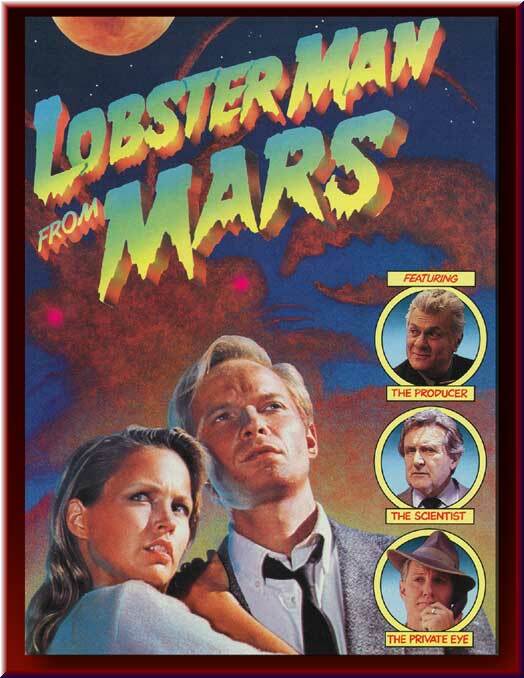 Visit my "The Lobster Man From Mars" detail page with Screen Images! "Tommy Sledge, P.I." HBO Comedy Channel (TV.com) (IMDB). MP3 audio clips promos for the show have been provided by Voice Over Talent, Chris Schutsky, who worked on the Tommy Sledge, P.I. program. I hope you enjoy them as much as I do. Showing HBO's The Comedy Channel lineup. Top row, left to right: Steve Higgins, Dave "Gruber" Allen, Dave Higgins. All from the show "The Higgins Boys & Gruber". Bottom row, left to right: Allen Havey "Night After Night", Rachel Sweet "The Sweet Life", Tommy Sledge "Tommy Sledge, Private Eye". Family Channel's animated "Monster Farm" (TV.com) (IMDB). "Jonathan Winters, Spaced Out!" Showtime Special (TV.com) (IMDB). "Caroline's Comedy Hour" - stand-up (TV.com) (IMDB). "Comics Only" - stand-up (TV.com) (IMDB). Hosted HBO's "Fast Forward Detective" (TV.com) (IMDB). 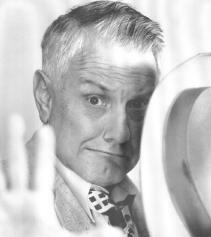 Fox's "Sunday Comics" - stand-up, wrote and starred in 3 short films (TV.com) (IMDB). 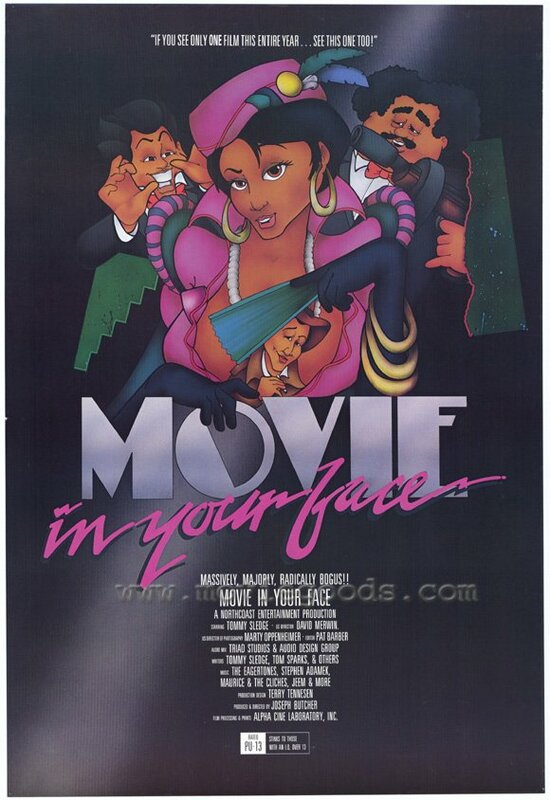 "After Hours" syndicated (TV.com) (IMDB). "An Evening at the Improv" - stand-up (TV.com) (IMDB). "The Merv Griffin Show" - stand-up (TV.com) (IMDB). Fox's "The Late Show with Joan Rivers" (TV.com) (IMDB). Guest star in "Webster" (TV.com) (IMDB). "Crosstown" syndicated (4 episodes) (TV.com) (IMDB). "Improv Tonight" - stand-up (TV.com) (IMDB). "The Tommy Sledge Mystery Minute" - nationally syndicated radio spots (70 stations with SJS/ProMedia Radio Networks, NYC, now SJS Entertainment Creative Services) over 150 shows aired. Radio spots for MGM Grand Air. Radio spots for "Mass Millions"
Look for the upcoming novel "Bullets, Blondes and The Big Ones To Bite"!